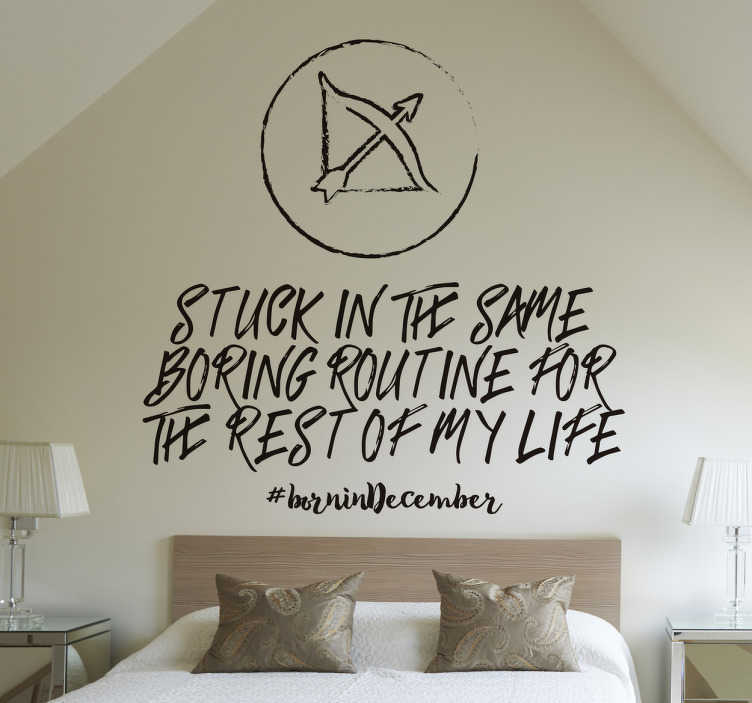 This original text decorative wall sticker is perfectly relocatable for all those out there who are born in the month of December! Featuring the text "Stuck in the same boring routine for the rest of my life" and the Sagittarius symbol, this vinyl is as easy to apply as it is to remove and leaves absolutely no residue upon removal! A high-quality anti-bubble sticker which is available in a wide variety of different sizes!